Genuine OEM Okidata 120 Volt Fuser. Okidata part number: 45531112. 120 Volt Fuser compatible with Okidata C911, C931, C941. Genuine OEM Okidata Toner Cartridge, Cyan, 24,000 page yield. Okidata part number: 45536423. Color Laser Toner Cartridge compatible with Okidata C911. Genuine OEM Okidata Toner Cartridge, Magenta, 24,000 page yield. Okidata part number: 45536422. Color Laser Toner Cartridge compatible with Okidata C911. Genuine OEM Okidata Toner Cartridge, Yellow, 24,000 page yield. Okidata part number: 45536421. Color Laser Toner Cartridge compatible with Okidata C911. Genuine OEM Okidata Toner Cartridge, Black, 24,000 page yield. Okidata part number: 45536424. 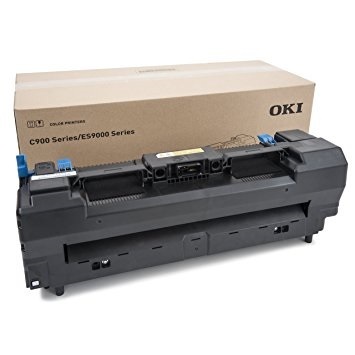 Laser Toner Cartridge compatible with Okidata C911. Genuine OEM Okidata Drum Unit, Cyan, 40,000 page yield. Okidata part number: 45103727. Drum Unit compatible with Okidata C911, C931, C941. Genuine OEM Okidata Drum Unit, Magenta, 40,000 page yield. Okidata part number: 45103726. Drum Unit compatible with Okidata C911, C931, C941. Genuine OEM Okidata Drum Unit, Yellow, 40,000 page yield. Okidata part number: 45103725. Drum Unit compatible with Okidata C911, C931, C941. Genuine OEM Okidata Drum Unit, Black, 40,000 page yield. Okidata part number: 45103728. Drum Unit compatible with Okidata C911, C931, C941. Genuine OEM Okidata Transfer Belt,. Okidata part number: 45531222. Transfer Belt compatible with Okidata C911, C931, C941, C942. Genuine OEM Okidata Waste Toner Box, 40,000 page yield. Okidata part number: 45531502. Waste Toner Box compatible with Okidata C911, C931, C941.